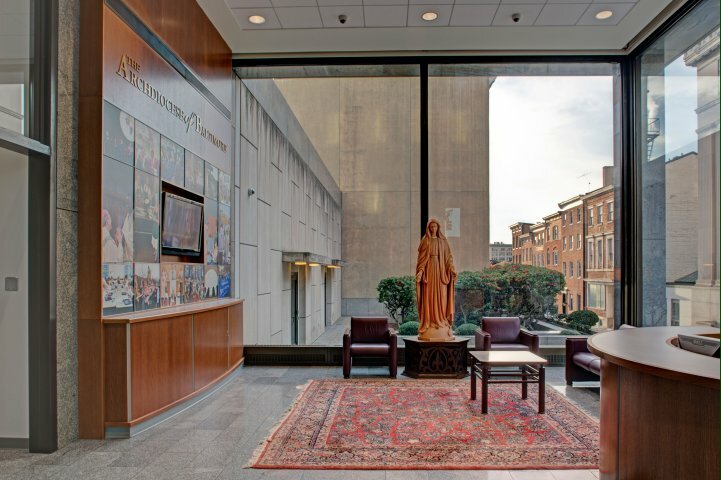 Archdiocese of Baltimore Catholic Center. 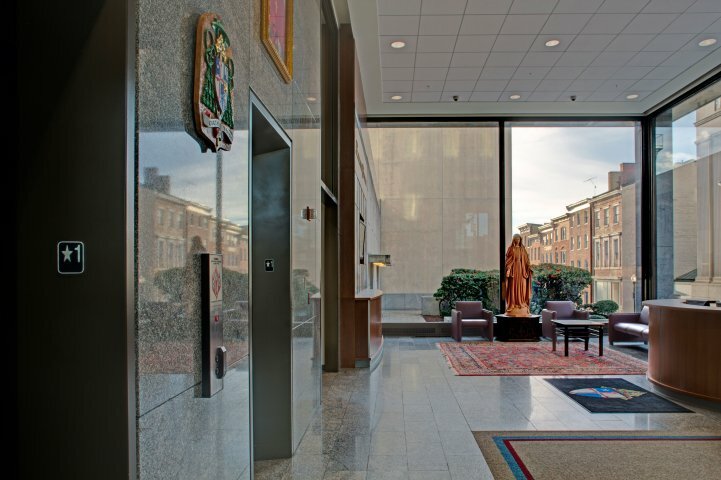 Complete restoration of the main lobby of the Catholic Center including restoration of the existing granite cladding and floors. ADA improvements: the urban location did not permit a ramp solution to the main entry stair. 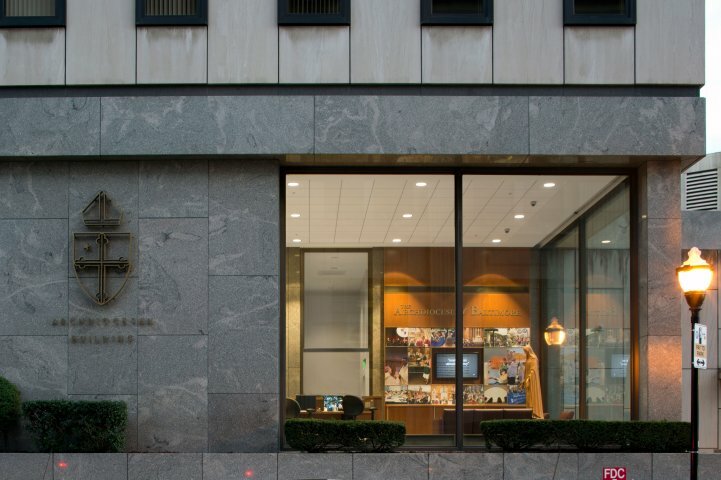 The original curtain wall lobby was extended to the street to provide an interior lift from the sidewalk. 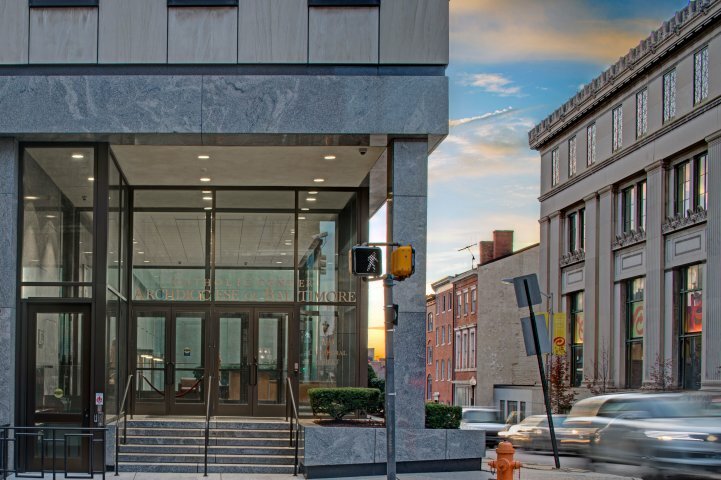 The warmth of the new wood casework housing a graphic and video display contrasts the original glass and stone and provides a welcoming presentation to users and passersby.